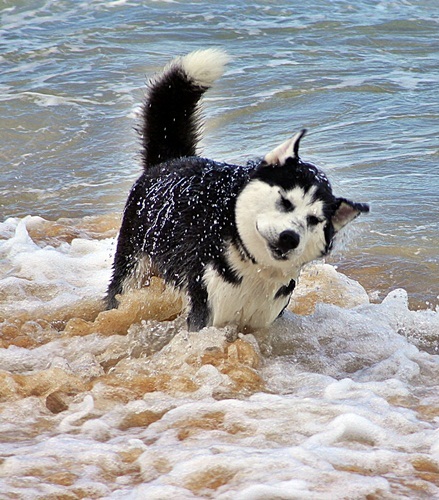 All of us can recall special times of closeness to a special dog. We have some of our favourites here to share with you. 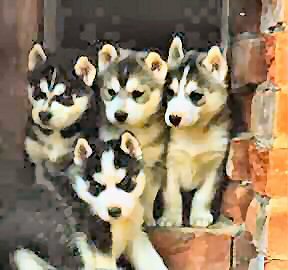 To see a list of titled Mikulov dogs click here. - Heelwork To Music (Starters) - done to the tune of "Little Brown Jug"
- Dances With Dogs Freestyle (Starters) to "Jingle Bell Rock"
Jingles - a dog with a wicked sense of humour! At the Leeton-Griffith ABKC on 25 August 1996, Mr Don Watkins (Vic) awarded Earl Best Exhibit in Show. 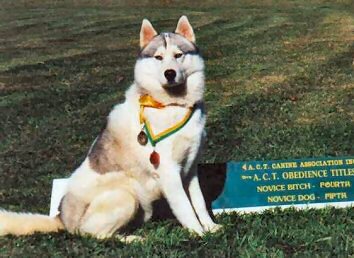 In that year, 1996, Earl was the winner of the Siberian Husky Club of New South Wales pointscore competition. She was whelped on 20 October 1995, making her 8 months and 10 days old at the time. 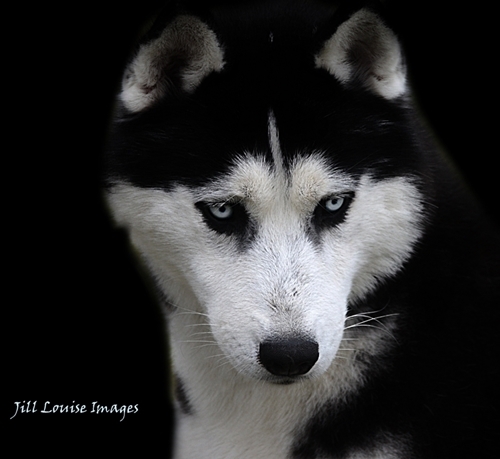 'Chimo' holds the dubious Siberian Husky breed record of whelping the largest number of pups in New Zealand. She had 8 males and 2 females in June 1999, sired by Aust Ch Mikulov Fire On The Snow CD ET. Many of Bullet's achievements have earned him a place on this list. 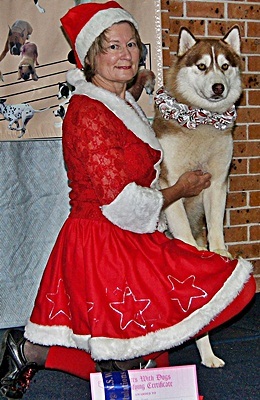 Bullet was the Youngest Siberian Husky in Australia to gain the Grand Champion title - 1 000 Challenge points - at the time he passed that milestone, 9 days before his 3rd birthday. 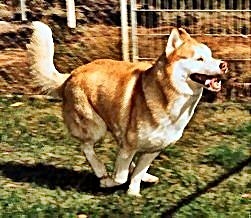 He was the youngest Siberian Husky to be awarded Dog Challenge at the SHC of NSW Championship show. He was 9 months and 15 days old when Mr Hugh Gent (NSW) awarded him this, and also Runner up to best in Show. 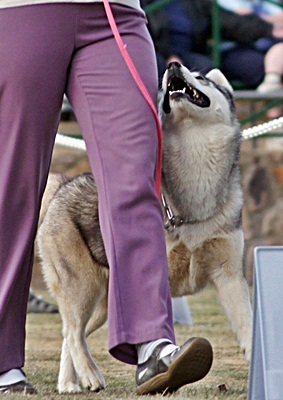 At that show he also won the 6 - 12 months Sweepstakes and the Best Headed class. 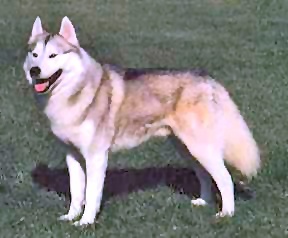 He was the youngest Siberian Husky to win a Best Exhibit in Group (Group #1) at a Royal Show when Mrs S Rickard (Vic) awarded him this, plus Runner up to Best in Show at the Darwin Royal Show on 26 July 1997. He was 13 1/2 months old. 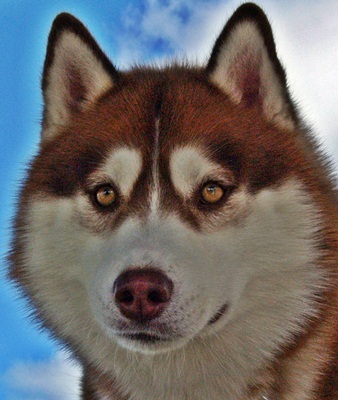 He was the first Siberian Husky to win Best Exhibit in Show at the prestigious North of The Harbour Winter Classic Show in Sydney, which boasts a full panel of international judges. 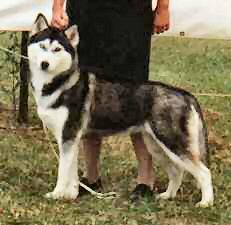 On 18 July 1998, he was awarded best of Breed and best Exhibit in Group by Mr CE MacDonald (South Africa) and went on the win Best Exhibit in Show under Mr D Powers (Mexico). 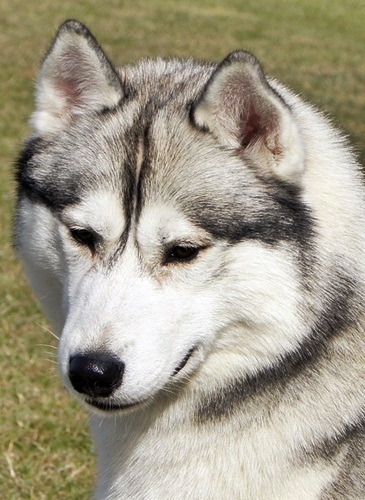 Our Patches was the first Australian born and bred male piebald Siberian Husky in Australia to gain his Champion title - done easily with 2 Runner Up to Best Exhibit in Group awards. He was the third piebald Champion to be made up in Australia, after 2 mature imports. He was the first and only piebald in Australia with a CD (Obedience title) and an ET (Endurance Test) title, and gained 2 titles within 7 days (Champion on 7 May 2000 and CD on 13 May 2000). 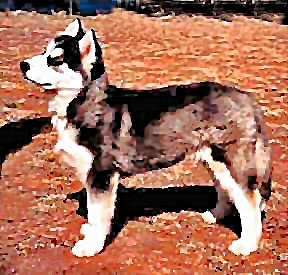 We played a part in helping gain the title of Grand Champion for our first Mikulov Husky late in 2002.